I had been incredibly interested in reading Ryan Moothart's Towards Cascadia. The book had been advertized on one of my favorite soccer podcasts. And, being not eager to read the entire thing on my phone, I spend a little money on a cheap tablet that I could use as an ereader since the book at that point was only available in ebook form. In the end though, Moothart does not impress. Overall, he seems to skip over the part where any writer who takes on the topic of Cascadia should describe and backup what they actually mean about Cascadia. I'm familiar with the Cascadia that Moothart writes about, it is the one that comes almost directly from David McCloskey and r/Cascadia. While I'm not a particular fan of this version of Cascadia, I understand where it comes from. And, unfortunately, Moothart does a poor job presenting it. We do not have to choose between our local differences east and west of the Cascade Mountain Range in an attempt to gain a dominant influence throughout the entire region; we're in this together as Cascadians, regardless of our differences, whatever they may be. Here Moothart seems to gloss on what really are fundamental differences on politics and society between people from urban Seattle and rural Franklin County. In Cascadia, our understanding of freedom and status quo extends to the environment that surrounds us. The living communities that exist in nature are part of us; we take into account their right to exist, free from overconsumption or exploitation. Even the most pollyannish assessment of how we are doing in terms of protecting the environment around here would state that most of us act like "nature is part of us." This is simply not true. While commendable as a goal (I really do think we should act more like this), it isn't the way things are. And, if this book is supposed to be a reflection of reality, it simply isn't a good one. 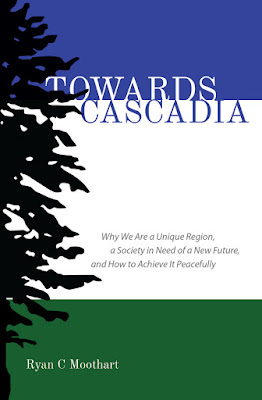 The main jabs of the book are two longish and detailed detours into what I could only describe as political science descriptions of how Moothart sees the political nature of Cascadia. But, these detours lack specifics I'd find useful. Where Moothart does a great job is describing how exactly a regional secession would work. 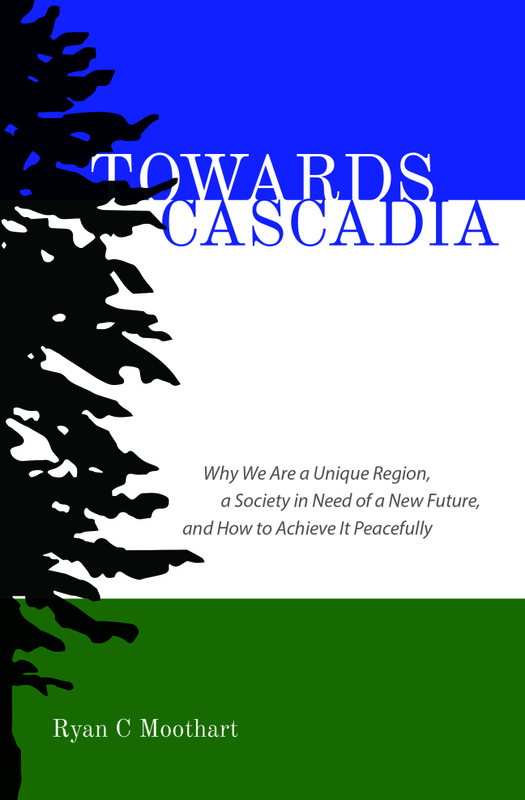 This is a well detailed chapter and breaks down in both American and Canadian terms how the states and provinces that make up Cascadia (even on a sub-state level) would actually leave. Moothart does a great job of even showing how this process would be peaceful. I've often been curious about these processes if they existed, and he does an admirable job of walking the reader through them.